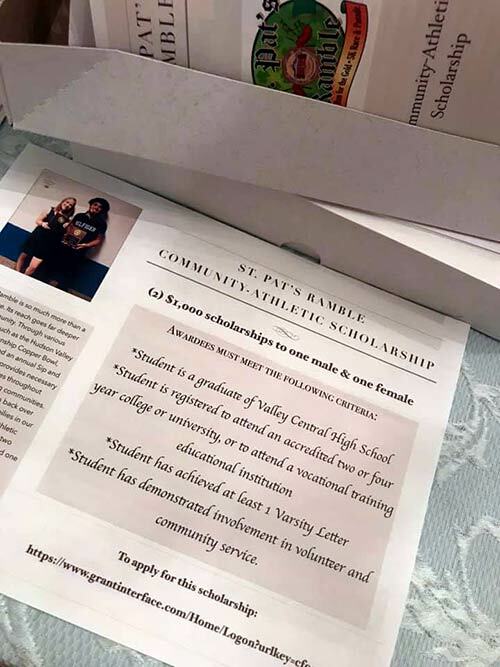 The St. Pat’s Ramble Committee is happy to announce that our Community-Athletic Scholarship link is now live and ready for students to apply! The fund will award two scholarships, annually, of $1,000 each, to one male and one female athlete from Valley Central High School, who are currently holding at least 1 varsity letter, and have demonstrated involvement in volunteer and community service in and around our community. *Informational pamphlets will be available in the athletic and guidance offices soon!